How about for some impact, now? A little while ago, we received this image on WhatsApp, which we promptly sent about to all our groups. We had some bizarre answers, some ridiculous ones that made us laugh, some outright creepy ones. 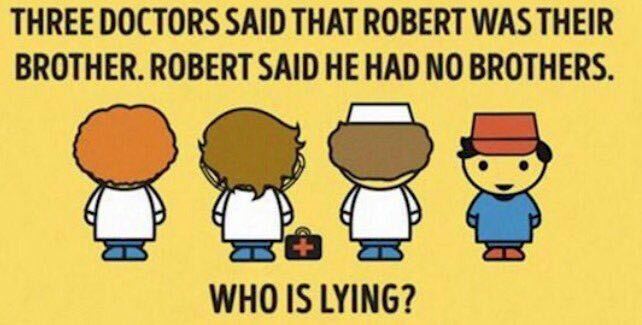 Most people rounded in on saying that the answer was that the doctors were female. Among the answers we received, we had a brilliant answer from Dhivya Thiagarajan, a middle school student at the Akshar Arbol International School. She guessed that the three doctors could be female, transgender or a-gender. How many of us think that way? It was truly a moment of happiness for us to see that our work around deconstructing Gender as a binary, and breaking gender stereotypes permeated so deeply. GREAT WORK, Divya! We are INCREDIBLY Proud of you!